The price of preservation ranges from $595-$795, depending on the style and detailing of your dress. Due to the complex construction, there is an additional charge for Pnina Tornai gowns. Please call 1-212-570-0433 or email gownpreservation@kleinfeldbridal.com for more information and a price quote. 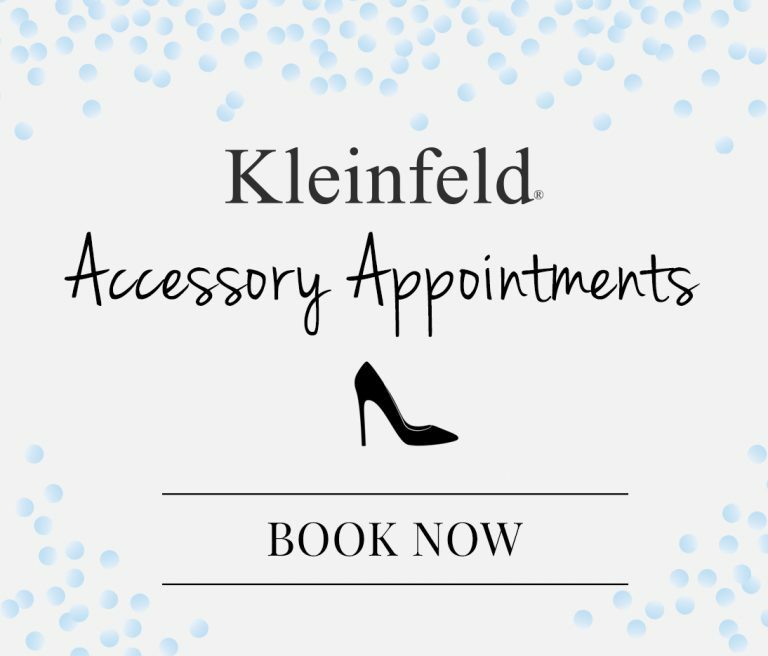 After you make arrangements with a Kleinfeld gown preservation specialist, your dress can be dropped off at Kleinfeld, 110 West 20th Street, or we can schedule a pick up on Saturdays. If you live outside New York City, we can arrange for your dress to be packaged and shipped to us via a UPS Store that is convenient to you. 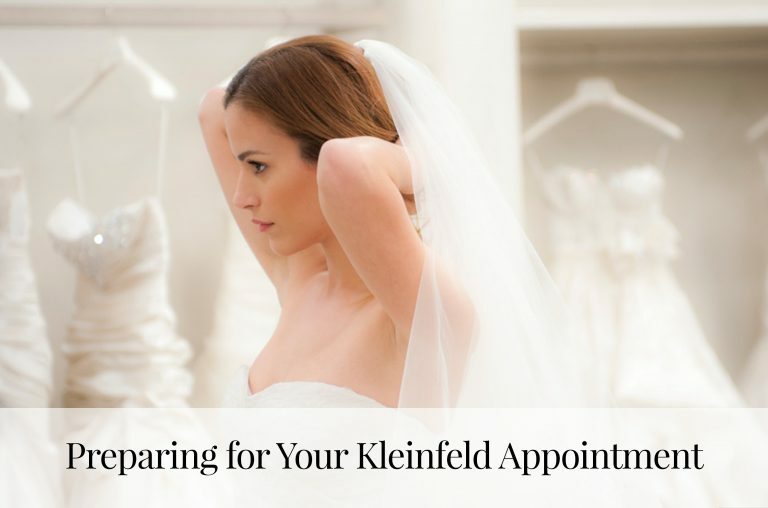 Your Kleinfeld gown preservation specialist will be happy to assist you in making these arrangements. 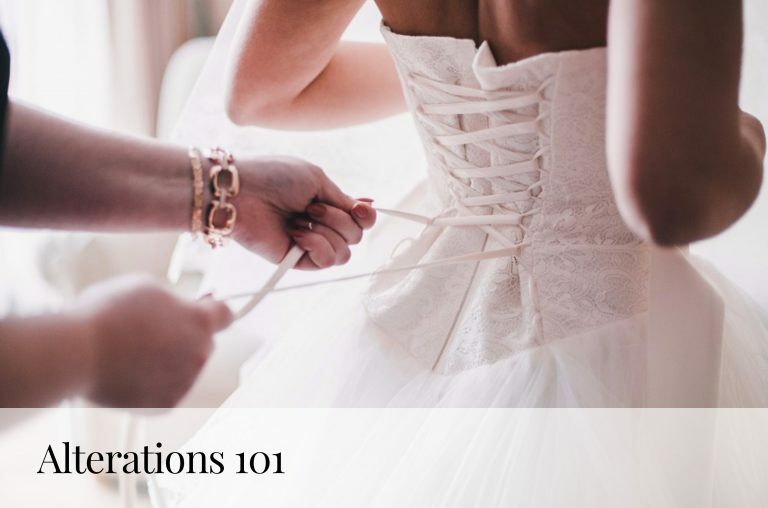 After the wedding, do not put your dress on a hanger or in a plastic bag. Keep it in a dark, dry place, folded or rolled in a clean white sheet. Hanging is not recommended as it can cause stress to the fabric and create distortion. Do not store your dress in a plastic garment bag because it may yellow the fabric. We preserve your dress in a completely archival textile storage box made of fluted polypropylene. A chemically co-inert polymer, this material is non-absorbent, provides more complete moisture protection than a cardboard box and resists fluctuations in temperature and humidity. Our proprietary boxes are made of the same material as those used by The Costume Institute at the Metropolitan Museum of Art in New York City to store historic costumes. Absolutely. In fact, we encourage you to open the box and inspect your dress regularly. Remember that your skin contains oils and salts that can damage delicate fabrics, so it is important that you wash and dry your hands carefully before handling your dress. When you remove the dress, slide both hands under the whole dress and lift it out of the box. As you unfold the dress, note the way we packed it so you can re-fold it properly. Choose a storage place within your home without much traffic—however we do not suggest storing your dress in an attic or a cellar. Store the box flat, with the lid side facing up. When you move the box, carry it so that it is as level as possible. We have packed your gown so that it will not shift under normal circumstances, but flat storage will ensure this remains true. Our special preservation storage materials were chosen to protect your dress from exposure to moisture, fire, dust, acidity and light.